Veeam Availability Suite 9.5 Update 4 has been released as of January 22, 2019. 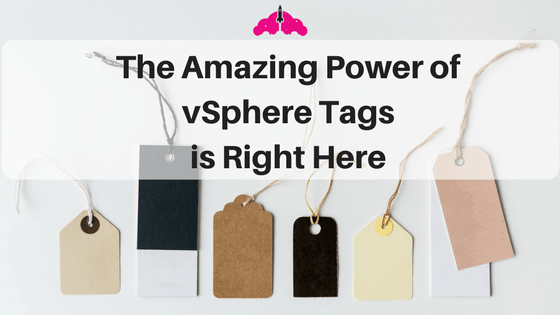 While there are a whole slew of great features in this release (and since I am on the Product Strategy team at Veeam I have been playing with them in the lab for months), I wanted to focus on a few of my favorites, and how some my favorites pertain to a more secure IT infrastructure. Now that we have gotten that out of the way, let’s talk about some of my favorite features in Veeam Availability Suite 9.5 Update 4. You can find the release notes for Veeam Backup & Replication 9.4 U4 here, and the release notes for Veeam ONE 9.5 Update 4 here. I sort of adopted this feature many months ago after my team first spoke with Veeam R&D about what was included in Veeam Backup & Replication 9.5 Update 4. 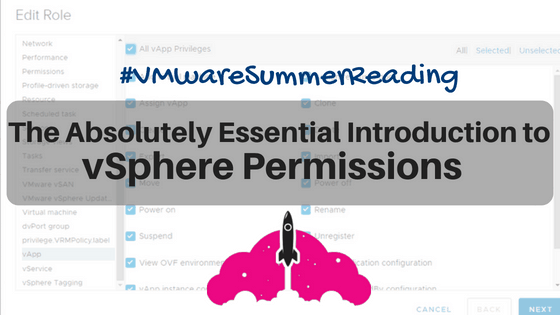 The fact of the matter is vSphere RBAC for self service is super simple to set up, and super powerful. VMware vSphere Users can simply use the Veeam Enterprise Manager web interface to do what they need to do, when they need to do it. Within a few minutes, your users will be empowered to backup and restore whatever virtual machines they need to, without entering a ticket or waiting for a response to an email. The Veeam Enterprise Manager interface is also extremely easy to use for virtual machine users and administrators. I have worked extensively with Veeam DataLabs in the last year, since they are used so heavily in Veeam Availability Orchestrator. Veeam DataLabs Secure Restore is one of my favorite features. Let’s face it, it is not a matter of if an organization gets hit by ransomware, it is a matter of when. With Veeam DataLabs Secure Restore, you can scan your virtual machines for malware as part of the restore process to ensure you are restoring clean machines to production. If you follow me on Twitter, you may remember me losing my mind over coverage of the LA Times ransomware attack. One article mentioned something along the lines of “the security patches did not hold”. While I have no inside knowledge of this ransomware attack or recovery, my bet would be that infected systems were restored, and started the attack all over again. Veeam DataLabs Secure Restore simply mounts the drives from the impacted virtual machines, and scans them for malware, ransomware, and viruses. You can even leverage Veeam DataLabs Secure Restore when restoring to the cloud. Veeam DataLabs Secure Restore solves this problem by making sure your virtual machines are squeaky clean. Now you can have peace of mind when hitting the restore button, and peace of mind that the right people are pressing the restore button. Veeam Intelligent Diagnostic is part of Veeam ONE, which is another Veeam product I spent a good amount of time with this year. Even before Veeam ONE 9.5 Update 4, I was a fan, but this new release adds even more great features, my favorite being Veeam Intelligent Diagnostics. Wouldn’t it be nice to know things are going to break and fix them, before they do? Veeam Intelligent Diagnostics does exactly that. Veeam creates signatures of things such as common misconfigurations or error messages. Then, Veeam Intelligent Diagnostics simply downloads the definitions from Veeam, and searches your environment for potential issues. This low impact scan of Veeam logs can be scheduled to run, or run on demand at any time. Should Veeam Intelligent diagnostics find a potential issue, you have the option of letting Veeam Intelligent Diagnostic remediate the issue automatically or allowing an administrator to hit the remediation button. Either way, Veeam Intelligent Diagnostics will keep your Veeam environment humming along, and protect it against common misconfigurations. These were just my personal three favorite features in Veeam Availability Suite 9.4 Update 4. As you can see, they are a bit slanted towards information security which is an area I have been spending a lot of time in. Cloud Tier – free up valuable space on higher performance backup storage by sending older data to S3 compatible cloud repositories automatically. Think Amazon S3, Microsoft Azure Blob, and anything else that supports S3 like NetApp StorageGrid. Veeam DataLabs Staged Restore – What happens when you have to restore that database and keep GDPR compliance in mind? Run scripts against servers during the restore process to allow for the right to be forgotten and other compliance issues to be respected. Oracle RMAN and SAP HANA plugins – Enough said. These administrators will be very pleased! Veeam Agents Enhancements – There are so many enhancements to Veeam Agents in this release I could not possibly list them all, protect those physical (or cloud based!) Windows and Linux servers just like you would your virtual machines. There are new job options, new reports in Veeam ONE and Windows Notification Center support to name a few. Be sure to check out the official documentation for all of the details of what is included in Veeam Availability Suite 9.5 Update 4. The What’s New Guide for each product is the place to start, and will tell you exactly what is included in each update. 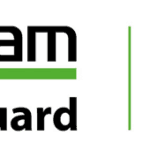 In the coming weeks, you will see much more from my Veeam Product Strategy team members and published on the Veeam Blog. Stay tuned for updates as I add links to these blogs!